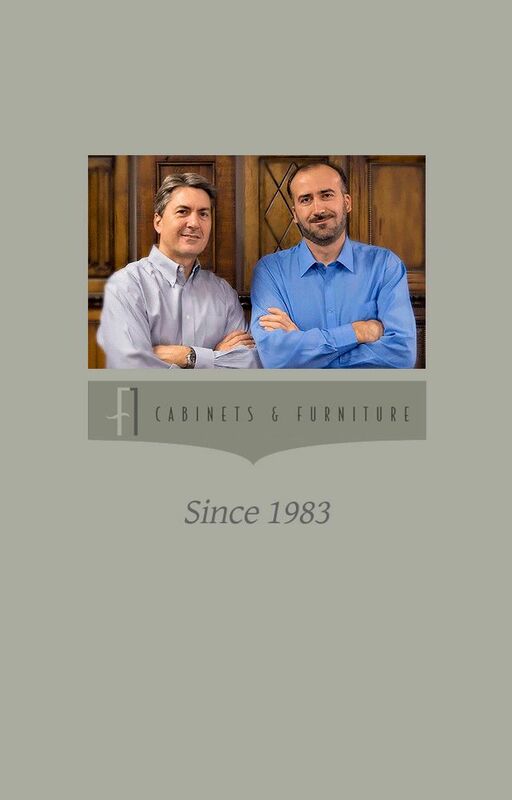 For over 30 years, the experts at F1 Cabinets and Furniture have been creating original handmade pieces that are elegant, timeless, and functional. Our skilled craftsmen work closely with you to design a style that reflect your personal taste. Our cabinets are crafted from only the finest wood species, and available in hundreds of custom colors and hand-rubbed finishes. Our highly personalized process guarantees unique, lasting results for each of our clients. We begin each project with a detailed blueprint and plan, to ensure a perfect fit. We can craft any style you desire, or create complimentary pieces of furniture for any room in your home. In addition to new build, we also provide our “Classic Transformations” service. Rather than installing completely new cabinets in your kitchen, we can update you existing cabinetry for far less time and expense than a traditional remodel. In most cases, the process requires five days or less, in your home to complete. Please call us to set up an appointment at our showroom, where you can view our materials and styles in person. We hope you’ll select F1 for your next project.